For this post, I'm going to take a trip back to 1983 and take a look at a few of the magazines that were popular back then. 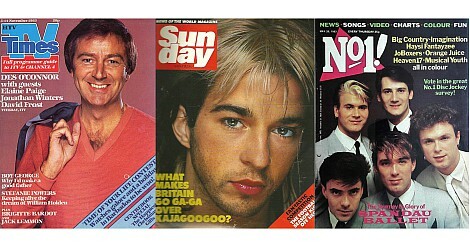 Sunday magazine was a free supplement that came with the now defunct News Of The World newspaper. At the time, just about everyone in our road used to have their Sunday papers delivered each week. The person who delivered them was actually a part-time photographer who needed the extra cash! 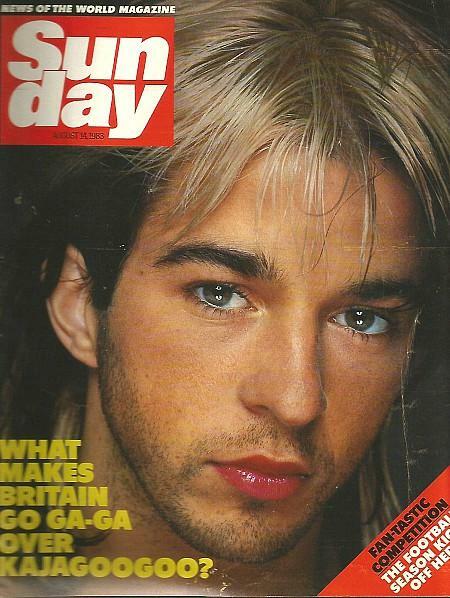 This cover features Limahl from Kajagoogoo. 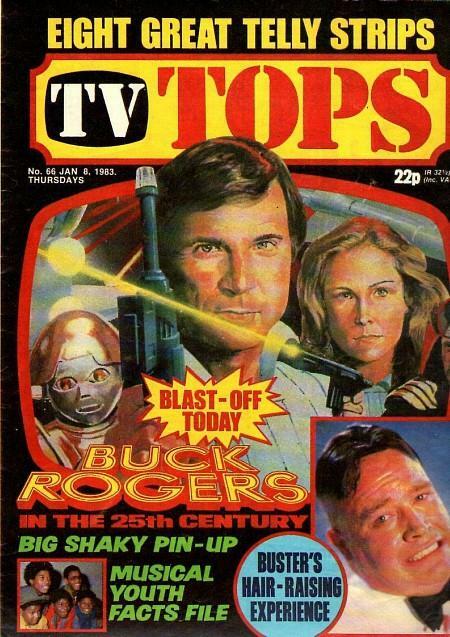 This was a British magazine published weekly by D.C. Thompson & co. Issues 1-31 were called Tops and the name changed to TV Tops from issue 32 and the magazine became in direct competition with Look-In. There were 121 issues in total. A you can see on this cover from Jan 8 1983, the price was 22p. The price increased to 24p later on in the year. 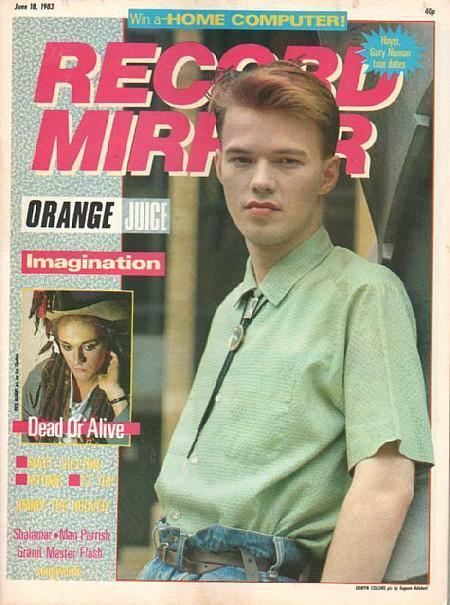 This issue from June 1983 features Edwyn Collins on the front cover. The price was 40p each week, which was exactly the same price as rival Smash Hits, although this was published fortnightly. Record Mirror was published from 1954 to 1991 and reached its peak during the 1980s. Smash Hits was essential reading for the young teens and was published from 1978 to 2006. 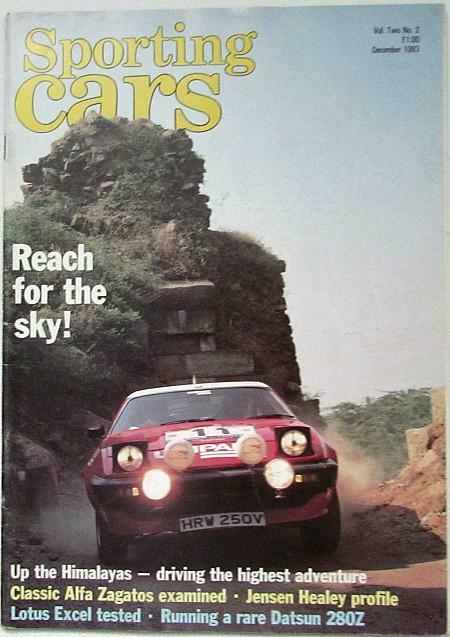 The magazine reached its peak during the 1980s and was published in the UK by EMAP. 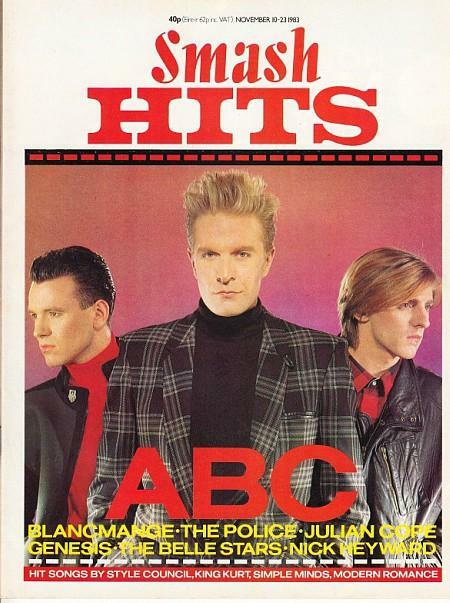 This issue from November 1983 features ABC on the front cover. Yes, it's yet another pop music magazine and there were certainly plenty to choose from in the 1980s. Number One was published weekly for nine years. The writers were pretty blunt with their reviews and they would sometimes refer to rival Smash Hits as "Smashed Tw*ts" - nice! 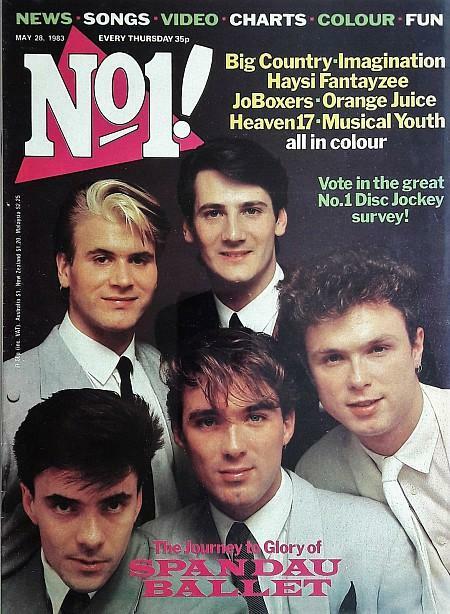 The issue above featuring Spandau Ballet is from May 28 1983 and cost 35p. Shoot! and Match were the main football magazines of the day, and I remember alternating between the two as my parents certainly didn't have enough money to buy both issues! Shoot! was published weekly and cost 30p in March 1983. The magazine reached its peak in 1996. IPC sold off the brand in 2008. 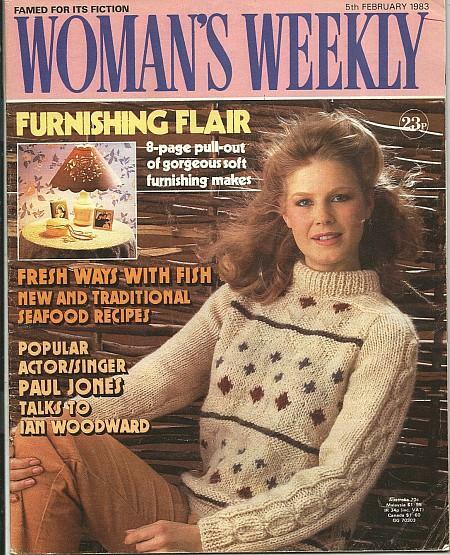 Well, there was always a copy of Woman's Weekly lying around in our household, and other similar mags at the time included Woman's Realm and Woman's Own. This issue is from 5th Feb 1983 and cost 23p. I always remember my Dad having a sneaky peak at the magazine when he thought nobody was watching - Well, I was! The only TV listings magazines available in 1983 were the TV Times and Radio Times, and you would need to purchase both to get separate listings for ITV and BBC channels. 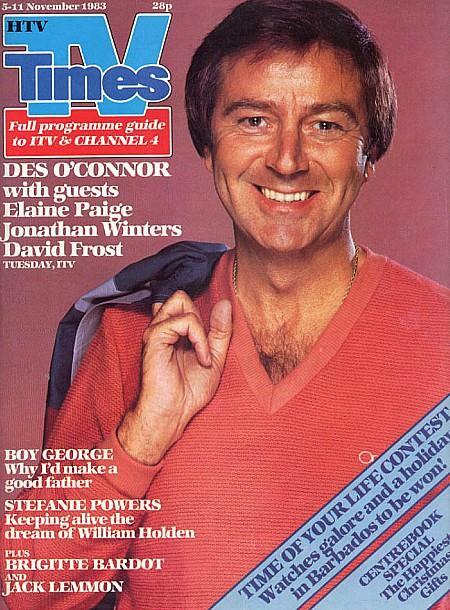 This issue featuring Des O'Connor exposing his chest hair was 28p. This was a popular British teen magazines that was published in the 70s and 80s. 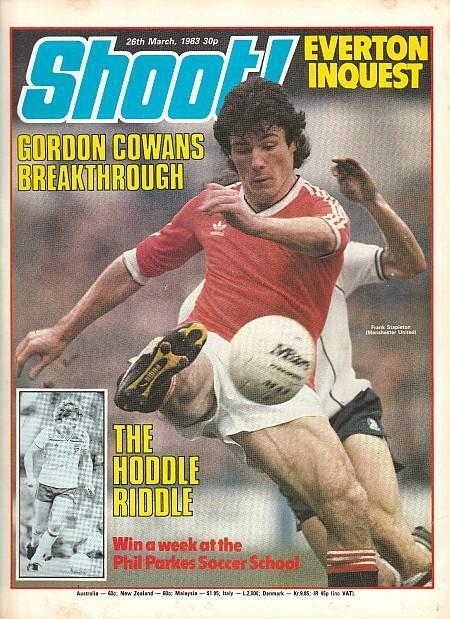 This issue from Sept 3 1983 was 20p. 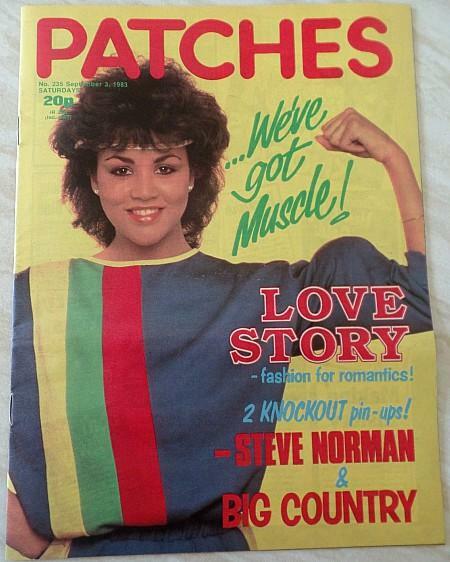 Jackie magazine was the main rival to Patches and was published every Thursday in 1983. 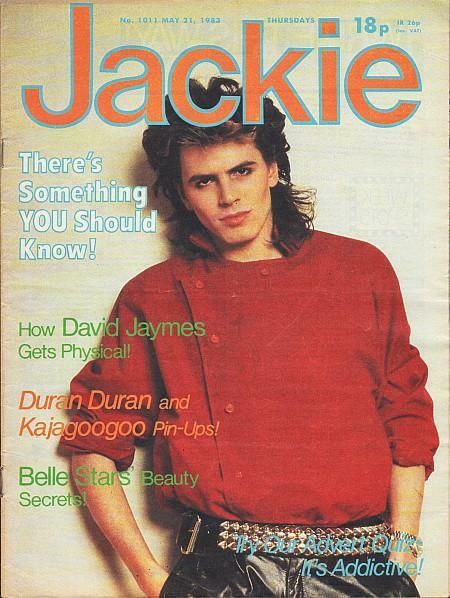 This issue from May 31 was 18p and features John Taylor from Duran Duran on the front cover. Do you remember this one? I've been unable to find much info about this publication, but I do know it was published in the UK and that the issue above had 84 pages.